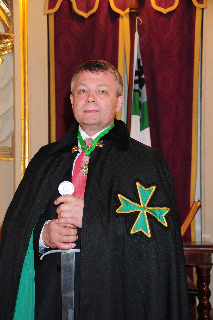 The Grand Prior of the Ukraine, Chavalier Anton Savvov KLJ CMLJ saw it fit to propose to the Supreme Grand Priory that the delegation of the Order to Kazakhstan should be led by Chevalier Segey Korotin KLJ. 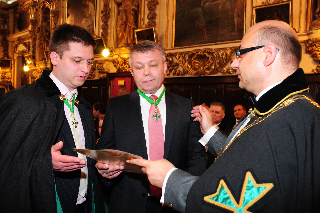 Thus, in the April investiture of the Order, the Grand Chancellor of the Order, Chev. 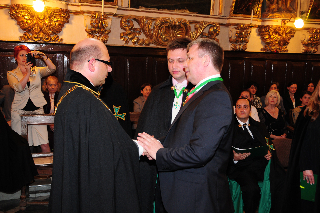 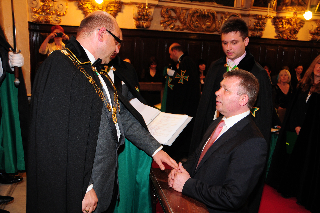 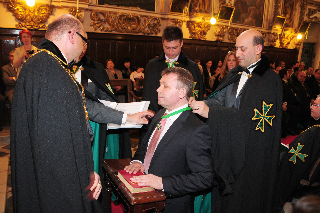 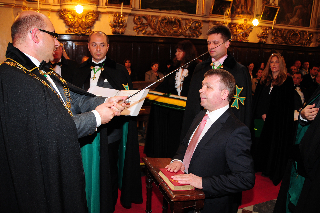 Massimo J Ellul GCLJ GCMLJ, aided and assisted by his Grand Officers and by the Grand Prior of the Ukraine himself, elevated Confrere Korotin to the high rank of Knight of Grace of the Order and then dutifully gave him the brevet of office as head of the delegation of the Order to Kazakhstan. 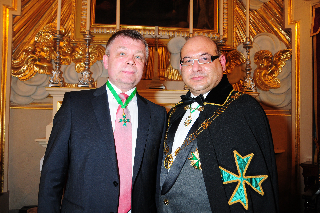 Chevalier Korotin is a committed philanthropist and successful businessman and, on behalf of the Order, we wish him well in his endeavours to promote the Order in his region.